OpenStreetMap is a Wikipedia of maps. It is a massive geographic database that anyone can use. 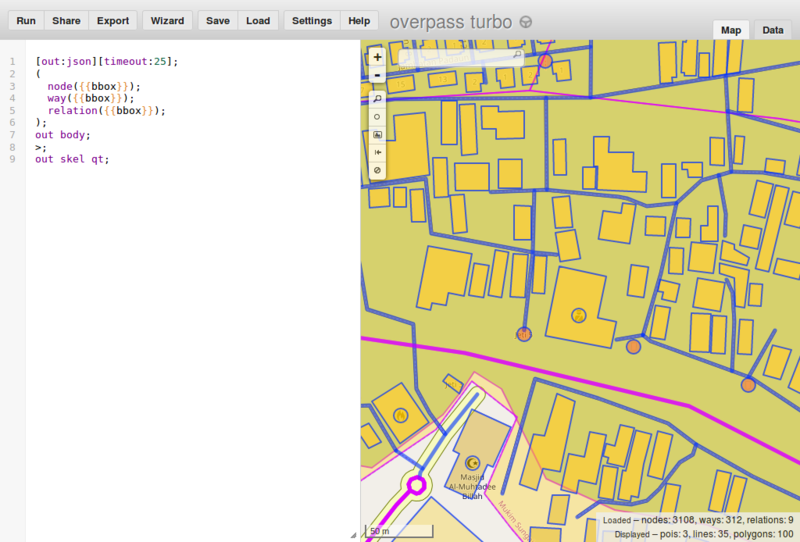 I have written separate article describing OpenStreetMap in a bit more detailed way if you want to know more. It has mapped roads, buildings, parks, shops, forests, nature reserves, universities, police stations, beaches, prisons, geysers, reefs, hospitals, administrative borders, caves, lighthouses and many more. This data is available in full for free under a friendly ODbL license. It is possible to use this data for a variety of projects. 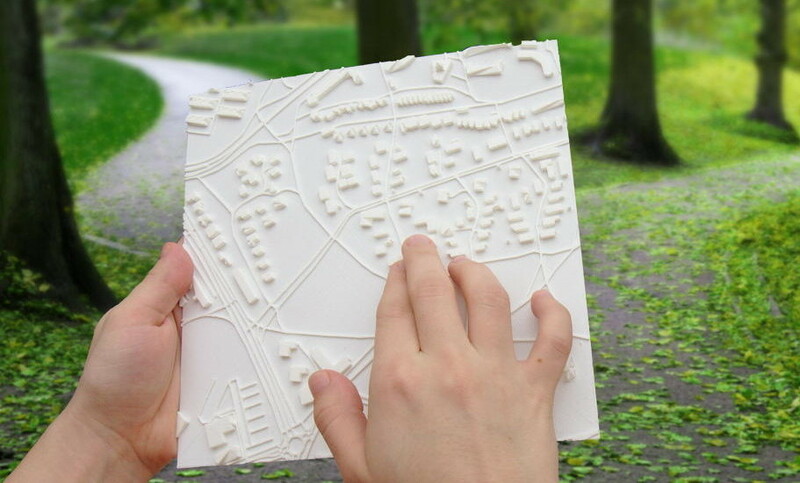 For example image below is a 3D printed map for the blind based on OpenStreetMap data. 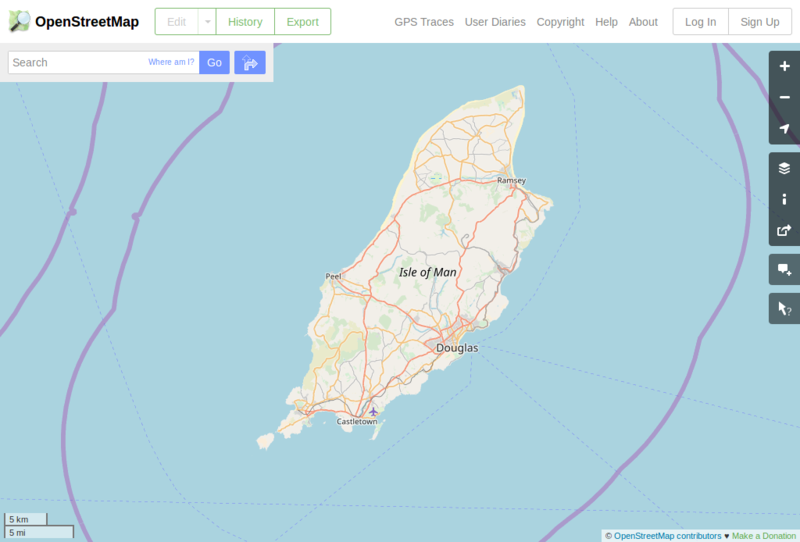 The easiest way to explore data collected by OSM users is to look at one of generated maps. You can do it by visiting openstreetmap.org and looking around. Default map at that page displays a small part of data collected by the OpenStreetMap contributors. Depending on region various features should be visible - roads, rivers, railways, forests, buildings, shops, peaks, lakes, cemeteries, caves, hospitals, paths, springs and many more. On this page I will present my favourite method to do that - a tool called Overpass turbo. It will be a series of exercises, starting from very simple ones with more interesting ones appearing later. No programming or OpenStreetMap knowledge will be required to understand them. Everything required to understand what is happening will be explained. Initial ones will just download and visualise one group of objects. Let's open the first query. It should show a page with a map on the right and panel with mysterious text on the left. Ignore gibberish on the left and wait for the query to complete. Within seconds museums in Kraków should be marked on the map. Now let's try something else - public playgrounds in Hamm - follow this link to try this query. Try clicking on one of object. A box will appear with more detailed information about a given object. Do not worry if displayed information is mysterious or unclear, it will be explained soon. Maybe you just want to grab all data from given area and download it? And do entire processing and filtering in another tool like QGIS? Or just look at all what is mapped? Next query will show all data within a specified area. Note that this data is a direct copy of OpenStreetMap database so you will need some help in interpreting the data. Next sections should help with that. So now a query to get everything. I just mentioned that this query will get everything. Fortunately, it is not true. Like previously presented querries it is limited to area visible in your map view. You can pan around to see that objects not inside this area are not downloaded. After moving view to a different location and select "run" button on top-left you will see results of the query in a different location. Try to zoom out, pan to an area familiar to you and zoom in. But avoid running queries that will return too much data. Especially "show all data" will fail for large areas. Limits like this are necessary to display data in your browser. Attempts to download all data at once are not recommended. OSM database crossed 50 GB a long time ago, displaying all of it is a complicated task that requires more specialized tools than a web browser. There are many ways to filter data, for example queries presented before "get everything" query, worked for much bigger areas thanks to limiting to only some objects. These alternative ways to filter data will be presented later. Now you will make a new query. Let's say that we want to query for glaciers. Go to http://overpass-turbo.eu/s/zWt (this link places you in the Himalayas so looking for a place with glaciers is not necessary). you see marked areas representing glaciers! What just happened? 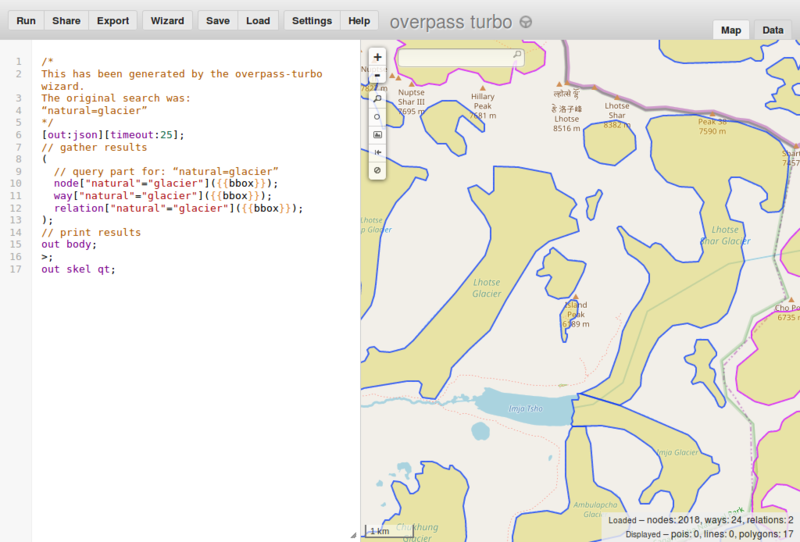 We asked overpass turbo wizard to get all objects tagged with natural=glacier. It generated query for us and run it as instructed. As objects marked with natural=glacier represent glaciers it means that we received objects marked as glaciers in a given region. These objects are now marked on our map. Previous examples maybe were interesting but covered only a small group of examples. How one is supposed to guess what should be used to display wetland areas? Or universities? Or prisons? Or other feature among thousands possible? Results should include a page describing wetlands as one of results. This page explains that natural=wetland is used to tag wetlands. So we want to hunt for wetlands - objects tagged with natural=wetland. 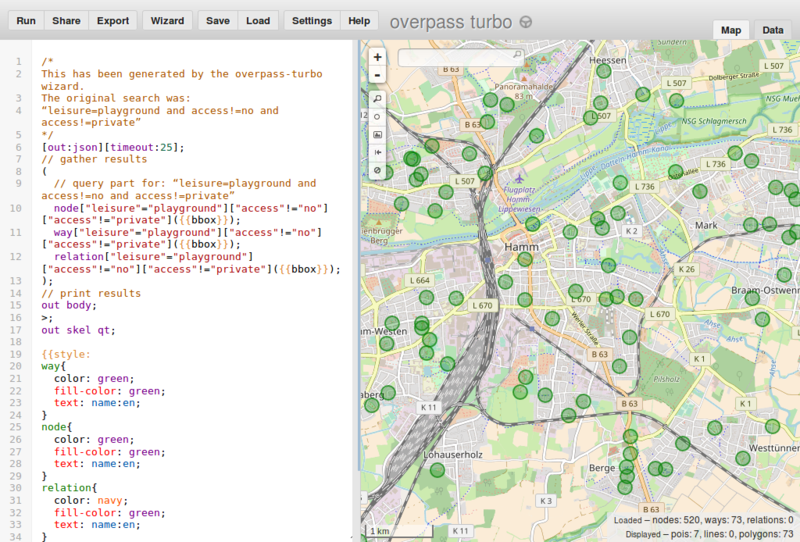 Go to http://overpass-turbo.eu/s/zNS (this link places you at a specific area where there are some wetlands to display). you see marked areas representing wetlands! Now everything with value wetland for key natural is displayed! In other words, we found all wetlands marked in OSM in this region. Now time for something more complicated. Lets try to find and display all volcanoes in a given region. This time you will need to discover by yourself how volcanoes are tagged. Start from googling something like <OSM wiki volcano> and use wizard to create a new query with the found tag value. If you have trouble see here for a help. So now you can to at least some types of queries that return some data. So it is a good moment to mention how this data may be used. Basically, you are allowed to do anything with it as long as you credit OpenStreetMap and its contributors and distribute derived work on the same license. For details see https://www.openstreetmap.org/copyright It will not be covered in this tutorial but you can process this data using also other software. So how we may download this data as a file? See the button "Export". After clicking it you may select one of the standard data formats. Any reasonable tool for processing geodata will support at least one. At least, for now, tutorial ends here. If you want more - send mail to matkoniecz@gmail.com, it will likely result in continued work on this page. Status: unfinished draft that is actively updated (as of September 2018). Published part is unfinished and ends abruptly. But it is supposed to be free from mistakes, typos, unclear text, missing explanations, grammar problems etc. Please sent mail to matkoniecz@gmail.com if you spot anything wrong! Please also send an email if any part is unclear - this page is supposed to be easy to follow for everybody, with no required OpenStreetMap or programming knowledge.